The Animated Oscar nominee list was announced yesterday and – in the main headline for most anime fans – Makoto Shinkai’s Your Name wasn’t on it. It was a disappointment, though not very surprising. While the film’s astonishing box-office in Japan and China got it some press coverage in America, it’s unlikely many Oscar voters have been inclined or able to see it. It played at the Sitges and London festivals, winning Best Animated Film at the former. But it didn’t play at (for example) Cannes, unlike two non-Hollywood animations that were nominated this year. We’ll get to them below. Maybe it’s just bad timing. If Your Name had had its American cinema run in the last few months, as it did in Britain, and gained glowing reviews from the US equivalents of Mark Kermode (who placed it in the ten best films of 2016), then maybe more Oscar voters would have paid attention. Ironically, Your Name’s world premiere was in America, at Anime Expo last July. But since then it’s only had a one-cinema, one-week Oscar-qualifying run at Los Angeles. The film’s North American release, on over 200 screens, will be on 7th April, long after the Oscars themselves are over. But fans can take some consolation. Your Name won Best Animated Feature at the Los Angeles Film Critics Awards this month (Princess Kaguya won two years earlier). Your Name is also presently nominated in both the “Best Animated Feature – Independent” and Director categories at the animation-specific “Annie” awards. The results will be announced on February 4. If you’re wondering, the Annies have distinct categories of “Animated Feature” and “Animated Feature – Independent.” Both Your Name and Miss Hokusai are in the latter category this time, along with two of the Oscar nominees, The Red Turtle and My Life as a Zucchini. 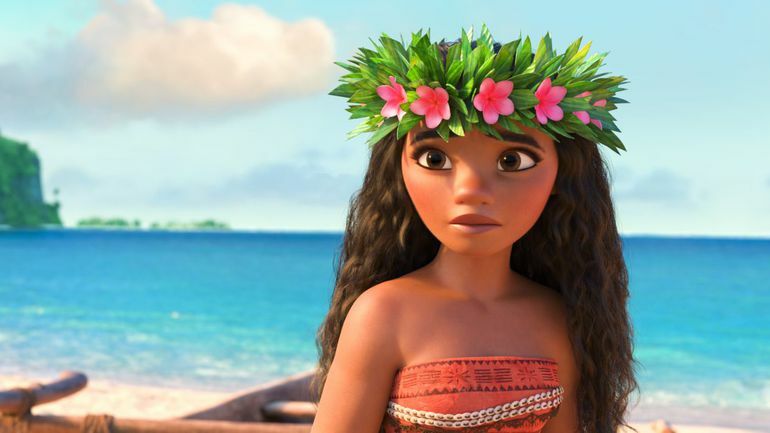 The non-Independent “Animated Feature” category, meanwhile, is taken up with Disney, Pixar and DreamWorks films, plus Kubo and the Two Strings. It’s an interesting approach, although many animation fans will find it patronising, ghettoising non-Hollywood cartoons away from the US blockbusters. Back to the Oscar nominees… In a previous article, I thought that four of them would be Kubo and the Two Strings, Zootropolis (aka Zootopia), Finding Dory and Moana. I was right on three, but Pixar’s Finding Dory missed a nomination. That’s despite its stupendous box office (it’s now the fourth biggest-grossing cartoon film ever) and having 94% on Rotten Tomatoes. Amazingly, though, three of the other nominees have higher Tomatoes scores, a reminder of what a stellar year it’s been for animation. Finding Dory’s still great. There’s a teary-eyed moment – it involves trails of shells on the sea bottom – that should remind any Gainax fan of the end of Gunbuster. Dory’s absence meant two far smaller, non-Hollywood films, could be nominated – perhaps that’s a lesson to the Annies. 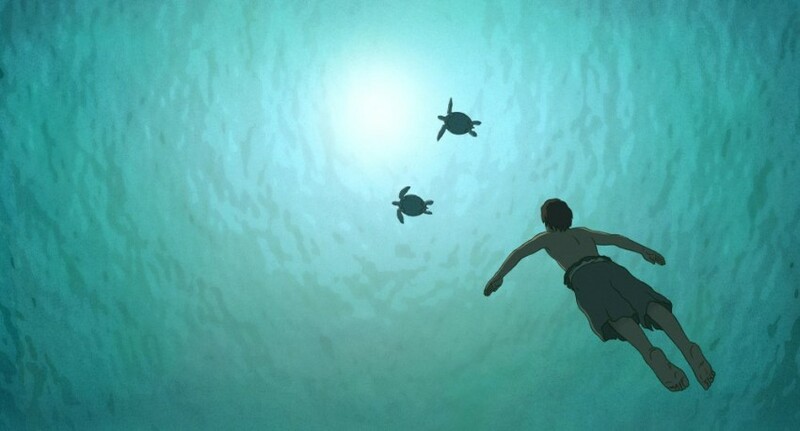 One of these nominees is The Red Turtle, which I covered in a report last year, and will get a UK release on 26th May. As you’ve probably heard, The Red Turtle has a much-touted anime connection. It was co-produced with Studio Ghibli, and Dutch-born director Michael Dudok de Wit discussed the film with Isao Takahata and Toshio Suzuki, though both stressed it was Dudok de Wit’s baby. Studio Ghibli’s Totoro logo even appears at the start of the film. For all this, The Red Turtle isn’t really a Ghibli film in any substantial way, and it certainly isn’t anime (the animation was made in France). What’s more debatable is whether the Ghibli-flavoured promotion helped sell the film to Oscar voters. It’s possible, though Red Turtle playing at Cannes last year may have counted for far more. And let’s not forget that de Wit isn’t some unknown in the animation community. He’s been a giant for decades, with an Oscar for his animated short Father and Daughter. The other “independent” Oscar nomination is for a Swiss-French film, which also screened at Cannes. It goes under two alternative English names, My Life as a Zucchini and My Life as a Courgette – it seems it will be released under the latter in Britain this May. You can see the trailer subbed or dubbed. As it makes clear, it’s a cute-looking stop-motion film, apparently aimed at older children upwards. It also has an intensely serious story about child neglect, and kids let down by families and the system, which offers hope but no easy answers. It’ll be fascinating to compare it to Kyoto Animation’s A Silent Voice, in content and in critical reception. 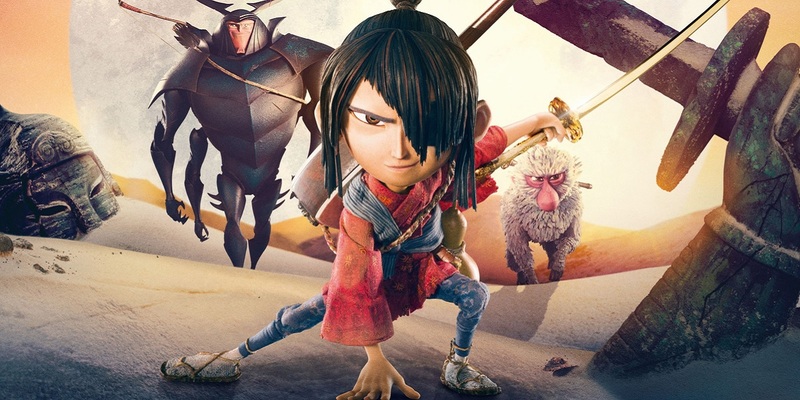 The third Oscar nominee is a Japanese story, but not anime – it’s the stop-motion Kubo and the Two Strings by the Laika studio. As with The Red Turtle, we covered Kubo on this blog, pointing up its extensive visual debts to woodblock artist Kiyoshi Saito. Elsewhere, director Travis Knight has described Hayao Miyazaki as a “pillar” of Kubo, though Kubo’s story becomes increasingly close to the Takahata-filmed Princess Kaguya. It’s also notable how Kubo realises his adventures are a postscript to the romantic-tragic adventures of his parents, an epic prequel only hinted in the film – compare some of the anime of Mamoru Oshii. Then there are the Disney CG spectaculars, Zootropolis and Moana. They’re both films with two leads, female and male (both films are from the female’s viewpoint). However, there’s no romance between these leads – well, there’s maybe the suggestion of something in Zootropolis, but there the “woman” is a rabbit and the “man” is a fox. Instead the relationships are set out on buddy-comedy lines, as the characters progress from being enemies to being… you guessed. Arguably this approach is inspired by Pixar, which established buddy-comedies in animation using Hollywood-standard male duos in Toy Story and Monsters Inc. The new “mixed” buddy pairings in Disney’s films offer a refreshing change to romantic formulas. Still, we wonder if Disney will ever try a Ghibli-style heroine instead. Even Mulan wasn’t so close, and that was two decades ago. Moana feels surprisingly like a “straight” fantasy adventure, like Mononoke, only to throw in a giant bling-obsessed monster crab sung by Jemaine Clement. Yet then there’s Moana’s amazing finale… We won’t spoil it, but it’s very hard not to see it as a massive (and beautiful) homage to Hayao.